The gate of Asakusa Temple "Thunder gate". We call"Kaminarimon". Kaminarimon (Thunder Gate), the main gate of Sensoji represents Asakusa. The official name is Furaijinmon (god of wind and thunder). Fujin (god of wind) is located on the right side, Raijin (god of thunder) on the left side. Asakusa was formed by sediment deposition carried by the Tone River, the Arakawa River and the Iruma River. 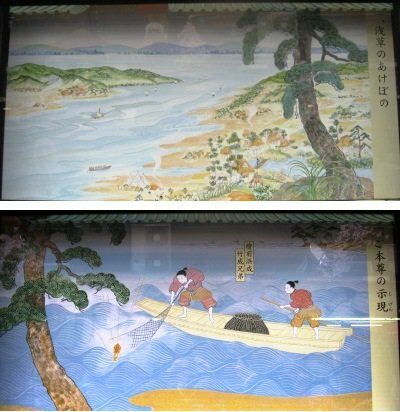 During the Kofun era (250 – 538 A.D.), it was a small village where fishermen and farmers lived. According to legend, a Buddha statue was found in the Sumida River in 628 by two fishermen, the brothers Hinokuma Hamanari and Hinokuma Takenari. This is the statue of a bodhisattva Kannon, which Sensoji is dedicated to. When the brothers showed the Kannon statue to their chief, Hajino Nakamoto (also known as Hajino Manakachi), he recognised the sanctity of the statue, entered the priesthood, and enshrined it by remodeling his own house into a temple. This is said to be the beginning of Sensoji. The Kannon statue is said to be a golden statue of 5.5 cm tall, however the entity is unknown as it is a treasure never to be disclosed. In 645, 17 years after the appearance of Gohonzon, Shokai Shonin visited the area and built a Kannondo in order to enshrine and treasure the Kannon statue. Later, in 854, Jikaku Daishi created a duplicate of the original Kannon statue upon his visit. In 942, in the middle of the Heian era, on the way back to Kyoto, Taira no Kinmasa, the Governor of Awa Province prayed Sensoji to be appointed to the Governor of Musashi Province. 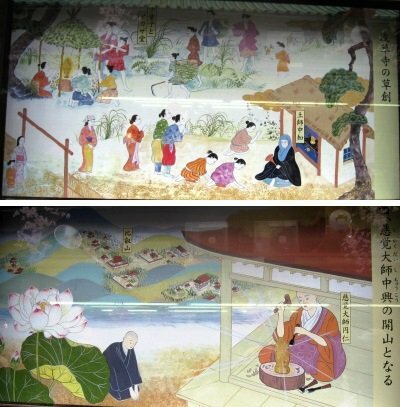 His wishes were realised, and he built Sensoji and donated fields, to feel grateful to the temple. 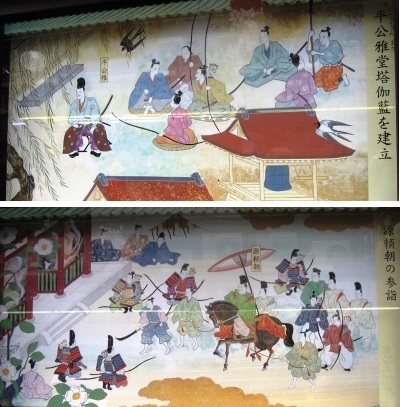 In 1180, when Minamoto Yoritomo arranged his army in Ishihama, Asakusa, he visited Sensoji to pray for victory over the Heike Clan. He also requested Sensoji’s temple carpenters to help building the Tsurugaoka Hachimangu in Kamakura. Sensoji had been worshipped among many military commanders and cultured people, and spread its name throughout the country. In 1590, when Tokugawa Ieyasu entered in the Edo castle, he designated Sensoji as a tutelary place and enlarged its territory. In 1616, building of Toshogu was confirmed and Zuishinmon Gate (Nitenmon Gate) was built in Asakusa in order to worship Ieyasu. After the fire in the Kanei era, Tokugawa Iemitsu rebuilt Kannondo in 1649. During World War II, the temple was bombed and destroyed. The current Hondo was rebuilt in 1958. 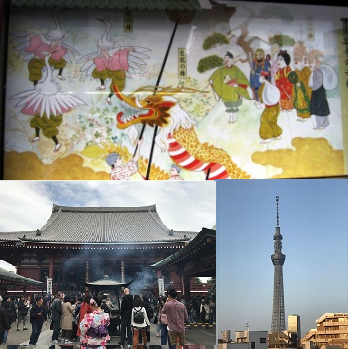 Along with the prosperity of Edo Tokyo, the visitors of Sensoji increased, Asakusa became the cultural centre for Edo. 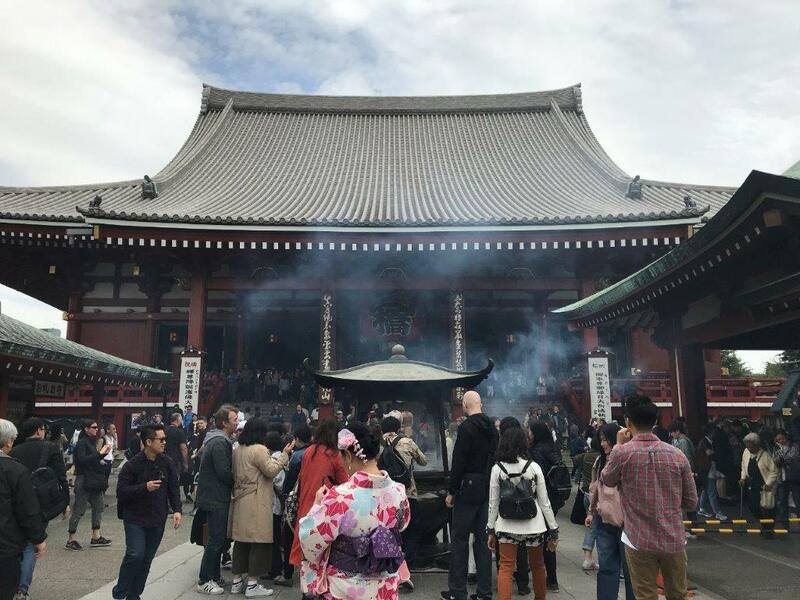 At the golden age of the Edo era, hundreds of small Shinto shrines were built in the temple grounds and Asakusa became a sacred place to worship by the common people. Okuyama area became popular for the Sensoji visitors to see street performance and shows. Seasonal events including Setsubun in spring were also very crowded. 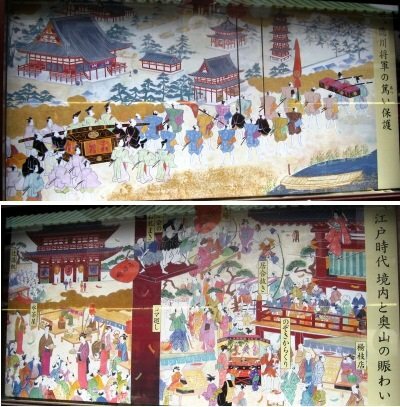 In the Meiji era, the temple grounds became Asakusa Park. Sixth District became famous as an entertainment district, making the great contribution to Japanese film and theatre history. With the opening of the horse-driven railway-carriage line in 1882 and the Japan’s first skyscraper, Ryounkaku (also known as Asakusa Twelve-stories, 52m high) in 1890, Asakusa led the movement of civilisation and enlightenment.
) is opened close to Asakusa in 2012.